Digital collections are an increasingly important facet in cultural institutions. Yet, their fast-changing, multi-faceted nature makes preserving digital material a constant challenge. The Old Trails Museum (OTM) recognizes the need for clearly articulated, widely accepted guidelines in managing their digital content. This document outlines the Museum’s policies and responsibilities for maintaining an actionable digital preservation framework. OTM is committed to providing long-term, sustainable access to its digital material. The Museum will strive to maintain digital collections across four key areas: secure, well-documented storage systems, data fixity, accurate metadata, and standardized, working file formats. In addition, OTM will ensure its system’s reproducibility by providing appropriate training to staff, volunteers, and visitors. Access remains the guiding principle for undergoing preservation in any form. OTM will seek to understand how digital preservation impacts access systems and will maintain appropriate restrictions to sensitive digital material. OTM’s digital collections consist of digitized and born-digital objects related to Winslow, Arizona’s economic, social, cultural, and political development and the Winslow Historical Society and Old Trail Museum’s business and activities. In accordance with its Collections Management Policy, the Museum will continue to collect and preserve audio, visual, textual, and presentation material that enriches its records and helps to distribute its analog material through digital systems. Through course of its business, the Museum will separate active working files necessary for the continuance of its activities from static files. Active files will not be subject to all the policies outlined in this document but shall be maintained in secure storage locations and, as appropriate, in duplicate forms. The policies outlined below will apply for all of OTM’s digital archival collection except where differences in treatment are noted. The Museum’s digital preservation strategy and policies were developed using NDSA’s Levels of Digital Preservation. OTM is committed to providing a secure storage system for all digitized and born digital content. In accordance with best practices, the museum will maintain at least two copies in non-collocated systems with the aim of creating and distributing one to two more copies as able to ensure the continued security of its digital objects. Primary storage for the museum’s digital content will be the museum’s desktop. Access to digital files on the desktop will be limited to authorized personnel. These access restrictions will be documented and circulated among staff and volunteers. Secondary storage will be maintained through the third-party data protection company, Carbonite. Back-ups of OTM’s digital content will be automatically synched with Carbonite servers as content is generated or changed. Requirements for accessing and using the storage systems will be documented to ensure continued sustainability across staff changes. OTM recognizes that checking file fixity is critical for maintaining data integrity. File fixity for digital content will be maintained through Carbonite’s third-party service. 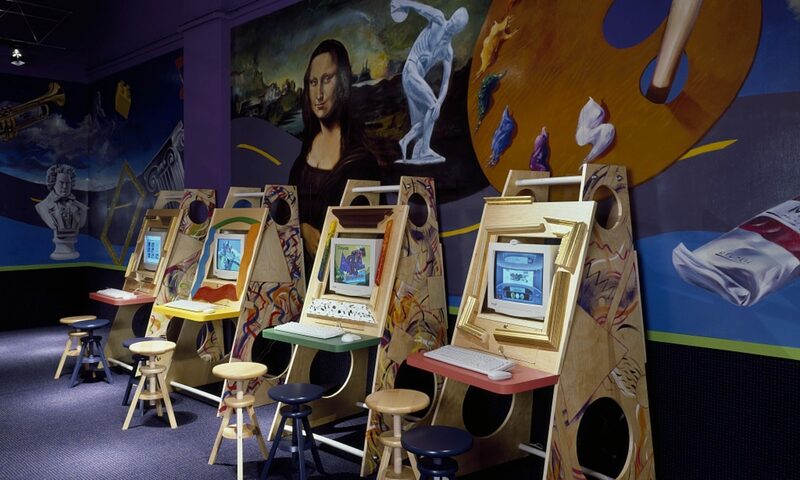 If the Old Trails Museum decides to migrate away from Carbonite’s services, fixity options will be reevaluated in accordance with suggestions supplied in the museum’s Next Steps Digital Preservation Plan. Complete metadata for digital objects helps maintain discoverability and ensures physical and intellectual control. Accurate metadata will be maintained for all digital content through a preliminary inventory covering at minimum title/subject, file format, amount of material, storage location, and any access restrictions. Digitized content and oral histories will receive additional metadata creation and storage through PastPerfect software. The Museum’s audio collection currently consists of MP3 files. As it is able, OTM will convert MP3 files to WAVE format for increased quality and sustainability. OTM will monitor file formats for possible obsolescence and migrate files to updated formats as necessary. OTM will aid in the continued preservation of its digital objects by ensuring that all staff members, volunteers, and researchers are aware of and abide by the museum’s practices for interacting with digital content. This includes abiding by access restrictions for sensitive content, following standardized practices for metadata creation, and following procedures for content duplication, storage, and editing. OTM’s motivation for enacting digital preservation policies is to ensure that its digital collections remain accessible for current and future generations. The Museum will aim to provide access to digital content through quality duplications given to researchers, select portions of presentation material published on OTM’s website, and, eventually, searchable records of its digitized images and oral histories through PastPerfect Online. Access to specific collections or items may be denied based on intellectual property claims, privacy issues or legal requirements. OTM will abide by these restrictions. OTM recognizes that digital preservation is best approached as an iterative process. As such, The Next Steps Digital Preservation Strategy document and the Digital Preservation Policy will undergo periodic reviews to update system specifications, ensure institutional compliance, and review overarching goals. This document will be made available through OTM’s website to create transparency in the Museum’s process, strategies, and goals and to encourage feedback where appropriate. I was interested to read your policy doc since you were working with a museum. After reading Sheldon’s Analysis of Current Digital Preservation Policies I was curious if those in class that were working with museums found the types of difficulties that Sheldon surmises in her conclusions (i.e. the uniqueness of artifacts requiring a custom approach in every case). The straightforwardness of your policy would seem to conflict with that theory, but it’s worth asking… did OTM voice any concerns about the “one-size-fits-all” approach that Sheldon thinks acts as a deterrent? Andy, My organization wasn’t a museum but I had similar concerns because there was so much documentation that hadn’t yet been sorted through or was inaccessible. Because of the potential variety of documents in their collection, I suggested striving for uniformity in format for different types of records to make maintenance and migration easier, but I didn’t want to get in the way of getting their work done. I thought that starting with something simple that they could build on would ultimately be easier to comply with even if it’s not optimal. Thanks for the comment. I’m a little unclear on your question so please let me know if I’m misinterpreting. I think when Sheldon is talking about the uniqueness of artifacts in museums she’s pointing to specific examples in the art world which would require more tailoring at the item level. OTM’s collections are mostly digitized pieces, which are more like archives and libraries that Sheldon notes can be handled at scale. Perhaps some of our classmates who are working with art museums have a different experience? Gwen, great work on this! Good question! My institution was already using Carbonite as a storage platform so I leveraged a lot of their existing features in my plan/ policy. I included some suggestions in my preservation plan on how the museum could approach fixity if they ever decided to migrate away from Carbonite or if they just had the time/resources to start collecting it on their own. The policy was structured as to what they are doing now with plans for what they should do if some of those basic mechanisms change down the line. Great policy, Gwen! I really like how you further explained the file formats that were recommended and those that should only be used temporarily. I also really liked how you put in at the end that the policy and next steps plan should be reevaluated periodically. I tried to do something like that, but think I fell short by simply putting in the date that the policy was created and no mention that it should be looked at over time. Good job! Gwen, I especially loved the part you wrote at the end about being sure to review the policy periodically and posting it to increase transparency. I think those are great ideas, and I’d like to add something similar to my digital preservation policy.